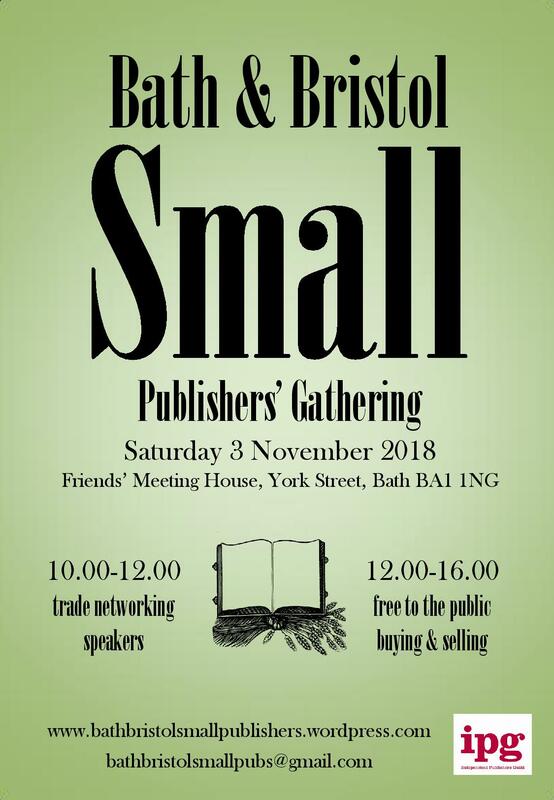 The Bath & Bristol Small Publishers’ Gathering will be a day of small publishers talking to each other, and to their customers, about their books, on Saturday 3 November, 2018, in Bath at the Friends’ Meeting House on York Street. The morning will be a trade event, with speakers and networking. The afternoon will open the Gathering to the public with free entry, to buy and sell books. 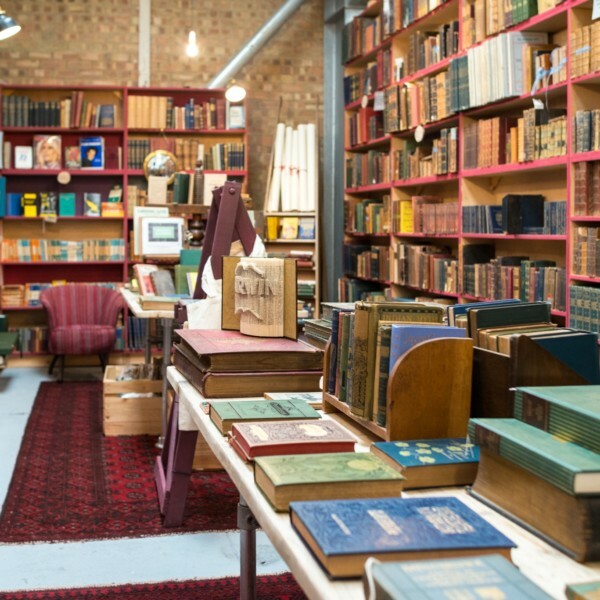 Kate Macdonald of Handheld Press and Samantha Walton of Bath Spa University and Sad Press have organised the Gathering, in order to meet other small publishers, and get to know the publishing community in the west of England. 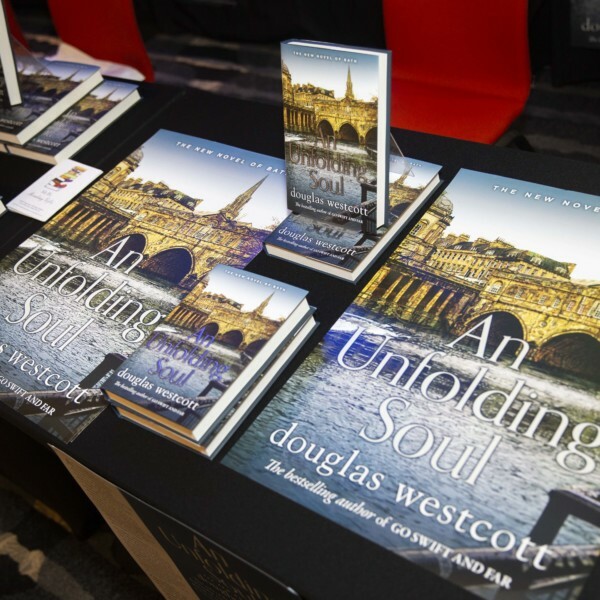 Douglas Westcott, the author of the bestselling Go Swift and Far and An Unfolding Soul, will be attending the event. He is an integral part of the literary landscape in the west of England setting both of his gripping novels in the historic city of Bath. Go Swift and Far was Westcott’s first novel and is an astounding bestseller selling over 10,000 copies in Bath alone. His latest novel, An Unfolding Soul is out now. Just finished reading your second book An Unfolding Soul which I have enjoyed as much as your first. As a Bathonian of 77 years I find it so scary and truthful as we currently experience The Third Destruction of Bath. I couldn’t put it down and the story captivated me – I couldn’t wait for the next edition. A young man buffeted by world events is left reeling, but survives to build his own empire in Bath. The ancient city has seen it all and has her own cards to play... Douglas Westcott writes from experience of the chaos of history, business, and wild passions in this gripping trilogy. Douglas Westcott’s ability to take history and make it interesting, dynamic and personal makes An Unfolding Soul the most enjoyable of reads! If you would like to receive updates and news from Douglas Westcott, then please sign up here.